Music Bow tie by Tie Studio 100% silk with Double bass & jazz musical instruments on black silk material making nice musical gift for any musician or jazz lover. The tie is fully adjustable and comes in a presentation box. 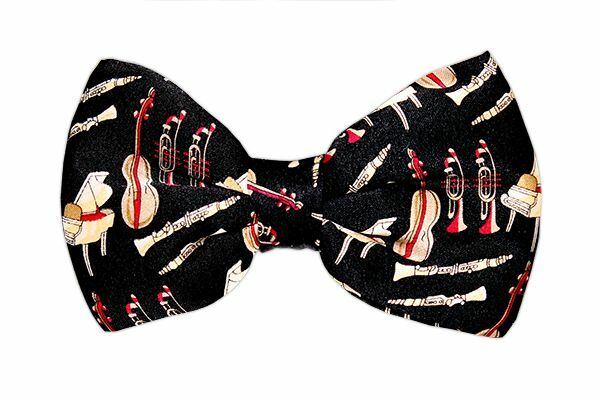 A must for any music gig or that special night out or a music teacher gift and from our collection of musical bow ties and don't forget our musical ties and musical tie accessory sections.